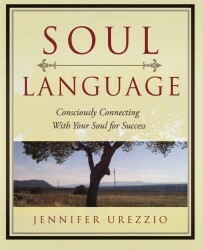 Soul Language conveys tangibility to Soul, the Soul of a business and a Sacred Partnership Soul. In having words and a profound, personal way to connect with our Soul and the Divine, we begin to embody the truth that we are perfect, the Universe is good, and we are enough to create and receive our heart’s desires. Soul Language Certification is a program that is personal and intimate in nature. You have been guided to it as a resource to help assist others on their journey. Most individuals find the journey easier if they understand why they are here, who they are and that they are not alone. By forming a deep connection with their Souls and the Divine it allows people to turn toward truth and create from Divinely inspired action – this is where Soul Language can support both you and your clients. Unlike other certifications, this one is personal. Becoming a Soul Language Practitioner empowers an individual to explore their own sacred purpose, understand and attract their community, and create a strategy to form and/or expand a coaching and/or master healer practice. There are a number of resources in the Universe that have been provided to help us identify and understand our purpose and to deeply connect with ourselves and the Divine. Soul Language gives new understanding to an individual’s purpose and provides a way to tangibly connect with the Soul to remember our truth, receive answers and be guided via the Soul on the journey. Soul Language is more than a paradigm – it is a sacred practice for awareness. It guides individuals to create a deep connection with themselves and the Divine, and it brings unity (wholeness and completeness) into a person’s life and business. Soul Language Practitioners understand that they are here to connect deeply to the Divine, to be of service and to be out in the world in a big way. Unlike other certifications this one is personal. Becoming a Soul Language Practitioner allows an individual to explore their own sacred purpose, understand who their community is, and develop a strategy to create and/or expand a coaching/master healer practice. This process is co-creative and one of high integrity. As a certified Soul Language Practitioner, you are committed to “doing” your own work for your journey and growth. You have accepted the calling to be a spiritual teacher and leader. I honor you for this, and deep respect will be accorded you throughout this entire process. What does it mean to be certified and how will it benefit my life and business? Upon completion of Soul Language Certification, you will have a powerful tool to help clients understand beneficial information about their Soul. You will be able to conduct a Soul Language Identification and guide people in connecting with their Soul via this sacred practice. During the Soul Language Identification session, you will be able to identify the three core energies of Soul (mission, how a Soul will be known here, and Soulful personality). Once identified, you will be able to provide the definition of their language and describe the experiences of utilizing this part of their Soul consciously (without struggle) and unconsciously (with struggle). This will support individuals in moving into a more conscious expression of their Soul. You can also design your own coaching/healing programs around this information and utilize this certification as a tool to help you conduct your own sacred work in supporting individuals on their path. What you will understand as you participate in this work is a deeper knowing of your specialty in collaborating with Soul. For example, you might have experience in guiding individuals with the life purpose of Pioneer (individuals whose mission is to forge new roads) or a special knowledge for Souls with warrior energy. 2) the tools and knowledge to help others understand how to connect to their Soul and utilize their connection with the Divine to alleviate struggle in their lives. During the certification training, you will be introduced to a supportive community all operating via Soul. You will begin to know others who speak your Languages and feel about the world as you do. Just like you, your clients would have access to this community. A community with the foundation of service, abundance and support. Once an individual is identified, they will be submitted to the international database of Soul Language, so if they choose, they can participate in community connections, international conferences and other benefits of knowing your Soul Language(s). Trust me. This is not a marketing ploy. It took me a long time to accept that the Universe provided me with powerful information. The application process is so both parties “know” that this is for the greatest good of each of us. There is a two-step process for the application. Please review the program elements, commitment checklist and payment details, and answer the application questions. Program element and application can be downloaded by clicking here. There is no wrong answer. We want to know you on a deep level, and this is just one way to understand more about you. Submit your completed application via email to: jennifer@knowsoulslanguage.net. After the application is received, you will be contacted to secure a 30-minute conversation with the founder and Spiritual Director of Soul Language – Jennifer Urezzio. If Jennifer already knows you intimately, the interview may not be necessary. If you have any questions, please contact us. This is a community, and we dedicated to supporting you.